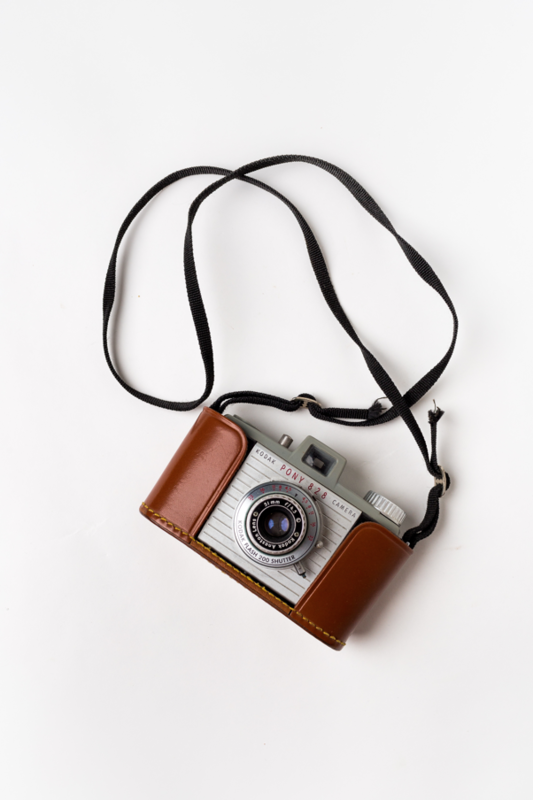 The Pony had a four-speed ‘Flash 200’ shutter, an Anaston 51 mm f/4.5 triplet lens, and a fitted leather case. Focus is achieved by estimation and use of a depth-of-field scale on the face of the shutter assembly. The Kodak Pony camera was introduced with the 828 model in 1949 as the first in a series of six Kodak Pony cameras which was produced until 1959. A flash attachment can be connected to the shutter by way of an ASA post-style connector.